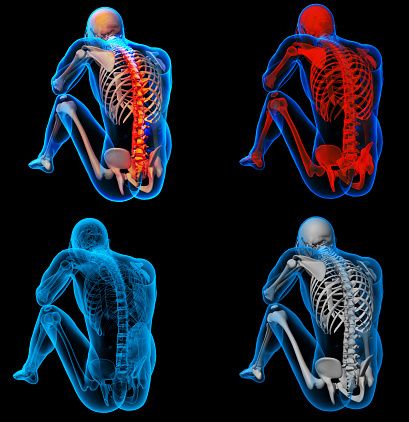 The method DeCOMPRESSit is to decompress the spine from natural upright position using the force of gravity as a nonlinear increasing decompression force, which is applied to a spinal column in upright position. 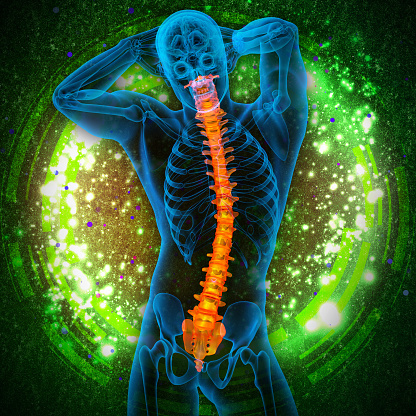 This allows the decompression force to be focused on selective vertebrae. A belt to achieve this decompression method from the natural upright standing position has a harness to fix the body the to a support system which contains a freely turning anchor and an adjustable belt. The support system must be placed over the head of the user. 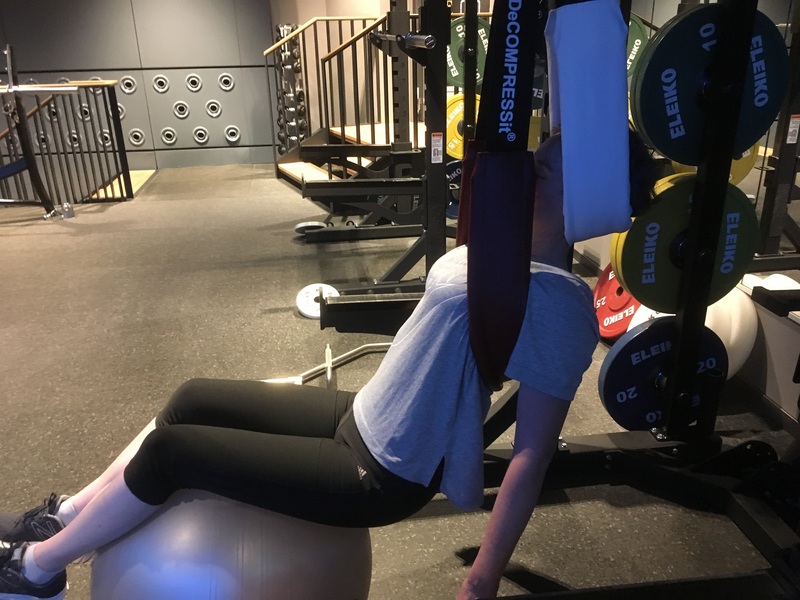 Everything should be adjusted together to fit the individuality of all body shapes to achieve the maximum support to the body and to place the user in a very relaxed position. Simplicity, functionality, affordability, safe to use, harmless, no force required only gravity, no assistance required, could be used in any place, portable, no special preparation needed, no special outfit needed, adjustable, easy to maneuver within, easy to get out of. Partner with us! Get your own DeCOMPRESSit® treatment center for back pain relief, become a sales associate, become a distributor for the various products of DeCOMPRESSit® or become a full dealer and have your own treatment center, you can even upgrade to a new concept in fitness as it’s called digital fitness box with RTF. Start making money as you finalizing your certificate and get the benefit of the money invested already to be deducted from your full DeCOMPRESSit® Licensing Brand Partner! Fulfill the vision of the DeCOMPRESSit® manifesto by fostering greater collaboration, productivity, and success among team members. This global movement transforms organizations and takes them to higher levels of performance. DeCOMPRESSit® Fundamentals Certificate will teach you the fundamentals of Decompressit. Basic knowledge about decompressit will be taught. Its the introduction to Decompressit. The DeCOMPRESSit® Fundamentals Certified course is tailored to help anyone interested in learning the basics of decompression method for back pain relieve. The purpose of the DFC certification exam is to confirm participants have a fundamental understanding of the DeCOMPRESSit® methodology. The DCT course is for <a href=”http://www.decompressit.net/” target=”_blank” rel=”noopener noreferrer”>DeCOMPRESSit<sup>®</sup></a> practitioners who wish to become <a href=”http://www.decompressit.net/” target=”_blank” rel=”noopener noreferrer”>DeCOMPRESSit<sup>®</sup></a>trainers. To become a <a href=”http://www.decompressit.net/” target=”_blank” rel=”noopener noreferrer”>DeCOMPRESSit<sup>®</sup></a>Certified Trainer (DCT) in back pain relief, candidates need to successfully pass the two certification exams (out of DFC and DCT). These must include the certification courses that they wish to teach. The back pain reliever Expert <a href=”http://www.decompressit.net/” target=”_blank” rel=”noopener noreferrer”>DeCOMPRESSit<sup>®</sup></a> Master Certified (EDMC) certification is the next step for <a href=”http://www.decompressit.net/” target=”_blank” rel=”noopener noreferrer”>DeCOMPRESSit<sup>®</sup></a> practitioners to further demonstrate their expertise in the <a href=”http://www.decompressit.net/” target=”_blank” rel=”noopener noreferrer”>DeCOMPRESSit<sup>®</sup></a> methodology. The DCMT course is for practitioners who wish to become <a href=”http://www.decompressit.net/” target=”_blank” rel=”noopener noreferrer”>DeCOMPRESSit<sup>®</sup></a> Master trainers. To become a Certified Master Trainer (DCMT) in back pain relief, candidates need to successfully pass any three certification exams (out of DFC, DCT , EDMC and DCMT). These must include the certification courses that they wish to teach. DeCOMPRESSit® certification is a significant achievement. It demonstrates a working knowledge of DeCOMPRESSit®. However, it is important that participants continue gaining knowledge about the relevant concepts in DeCOMPRESSit® and related areas. So you as a DeCOMPRESSit® Certified Master Trainer earned the right to teach proctored online courses for trainers are looking to renew their certificates from the comfort of your home using a webcam and internet connection. <a href="http://www.decompressit.net/" target="_blank" rel="noopener noreferrer">DeCOMPRESSit<sup>®</sup></a> Participants, Operators, Partners, Owners, Franchisee’s , Certificate holders, Instructors, Distributors and Sales Associates, Trainer, Master Trainers and anyone related to the brand with reference number is obligated to follow the Ethical code of conduct and maintain the highest level of professionalism at all time and any break in the rules will result of the loss of the licenses to the Individual or the Entity. The DDC® is an entry level certification. 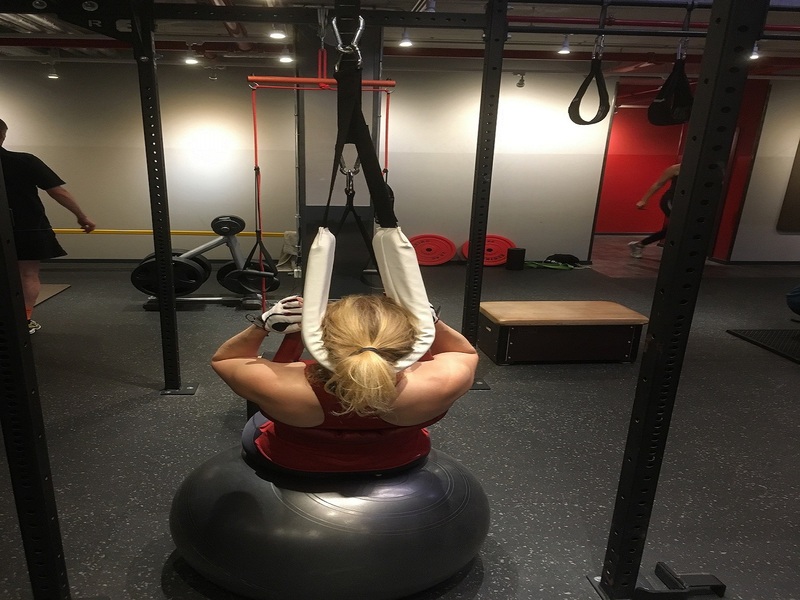 The objective of this certification is to ensure that participants understand the basics of decompression for back pain relief and core strength which DeCOMPRESSit® team members need to know to effectively contribute to a DeCOMPRESSit® project. The DMC® professionals have a practical, working knowledge of DeCOMPRESSit® that equips them to guide and implement DeCOMPRESSit® projects in a DeCOMPRESSi®t environment. The purpose of the exam is to confirm that applicants have achieved sufficient understanding of how the apply DeCOMPRESSit® framework and practices to projects and to tailor DeCOMPRESSit® in a particular scenario. Few minutes ago I had a DeCOMPRESSit treatment. In the beginning I was really suspicious about it. How will this be any helpful?! Hanging and/or standing between a belt. But I totally trusted the professional and started to use it. First, it was a little bit hard to find the right position to feel comfortable. But after some trials and with the help of the trainer I got into it. After this we worked on my neck and what shall I say: it felt like heaven! The pressure on my neck went away second by second. After we finished I really felt the “pipes” in my neck are free again. I totally felt relaxed! Honestly, no massage, no chiropractic or osteopathist were able to bring me to this feeling! Bandscheiben ernähren? Kleinste Muskelpakete nahe der Wirbelsäule entspannen? Verklebte Faszien im Nackenbereich aktiv lockern? Ich hatte die Gelegenheit unter fachkundiger Anleitung die Wirbelsäulenentspannung nach der Methode DeCOMPRESSit zu erleben. Ergänzend zu den positiven Effekten kommt, dass ich das verwendete neu entwickelte Trainingsgerät als leicht und chic beschreiben kann. Es passt ohne weiteres noch in die Sporttasche und ist immer einsetzbar. Ich finde auch gut, dass es in verschiedenen Größen und Ausführungen zu haben ist. So ist mein Gerät genau an meine Bedürfnisse angepasst. Damit steht meinem entspannten Rücken und Nacken nichts mehr im Weg. Ich kann die Wirbelsäulenentspannung nach der DeCOMPRESSit-Methode nur empfehlen. We welcome you to use the support forums, but often you can find examples, tutorials and help videos to solve your problems even faster than we can reply.